At age 15, Charlotte Gainsbourg made her debut album with her legendary father, Serge. But it would be another two decades before the model-actor crafted a follow-up, 2006’s sleek and dreamy 5:55. Earlier this year, the 38-year-old released the brilliant and brainy (literally, it was inspired by a brain hemorrhage suffered in a waterskiing spill) IRM, on which she teams with pop polymath Beck. After growing up in and around music, the lovely mother of two is finally getting around to playing her first live shows. You’ve now played a handful of gigs. Still having stage fright? [Laughs] God, I wish I could talk about something else. There were four shows in New York. But, no, I’m still very nervous. It’s not something that will go away that quickly. Psychologists recommend bringing furniture from home onstage with you to feel more at ease. Oh, that’s a wonderful idea! But I live in France, so I’d have to ship my apartment. What one piece would you bring? It wouldn’t be furniture; it would be my children. Well, maybe something from their room. Kids’ stuff. You’re doing shows in Canada. Do you have a larger following there because of the language? Which is about being eaten by a cat. It’s so original, but it took me a while to get up the courage to sing it. I didn’t know if I could sing those lyrics because they felt so heavy, but it made me laugh a lot. I liked the absurdity of it all. Your next movie, The Tree, is about a young girl who loses her father. Did you choose the role because you could relate to the grieving? I didn’t put myself in the seat of the children. I was playing the mother so it was the loss of the husband. Maybe it is because it’s the death of a father; maybe that’s what attracted me without me even knowing. But I’m sometimes very unaware of why I do things. I like to be stupid about why I go towards something. Well, not to explain everything to myself. Go by instinct. Does it irk you that journalists always ask about your father and not your mother, Jane Birkin? The thing is, she’s alive and he’s dead, which makes a big difference. Sometimes I don’t want to talk about him. I want to keep stuff for myself. But I’m proud of him and I’m proud that people talk to me about him. Especially when it’s outside of France. I’m more annoyed in France because people know so much about him. He’s known more for his music here, especially because of fans like Beck. Yesterday I went to Beck’s studio to record something new and I saw a picture of my father on his wall. It wasn’t there before. It’s always very touching for me to see that. 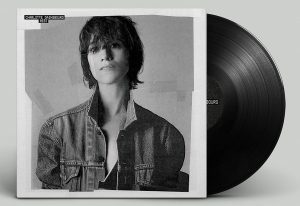 Charlotte Gainsbourg graces Park West Wednesday 21.